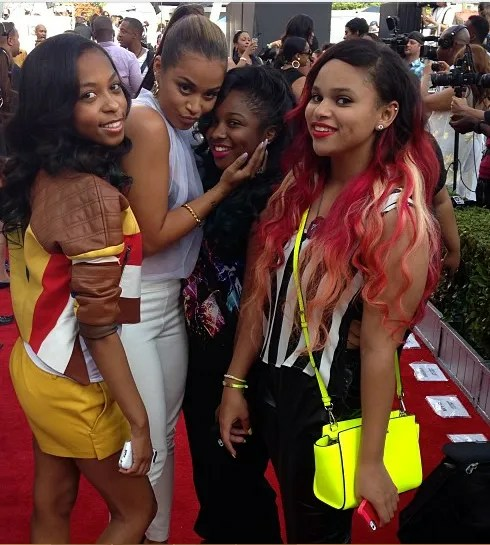 Last night the BET Awards aired live at Nokia Theatre in Los Angeles young stars hit the red carpet. Gabby took home the award for Sportswoman of the year and the Young Star Award! Quvenzhane presented with fellow Acadmy Award nominee Taraji P Henson and did a skit with Kevin Hart. This entry was posted in Celebrity, style and tagged bet, BET Awards, BET Awards 2013, Black Entertainment Television, Bria Williams, Chris Tucker, Corde Broadus, Cordell Broadus, Cori Broadus, Gabrielle Douglas, Jacob Latimore, Kevin Hart, kids, Lauren London, Lolo Rodriguez, mindless behavior, Nokia Theatre L.A. Live, Quenzhane Wallis, Red carpet, Reginae Carter, snoop dogg, snoop lion, Taraji P. Henson, teen. Bookmark the permalink. Now that’s what you call a good night out!